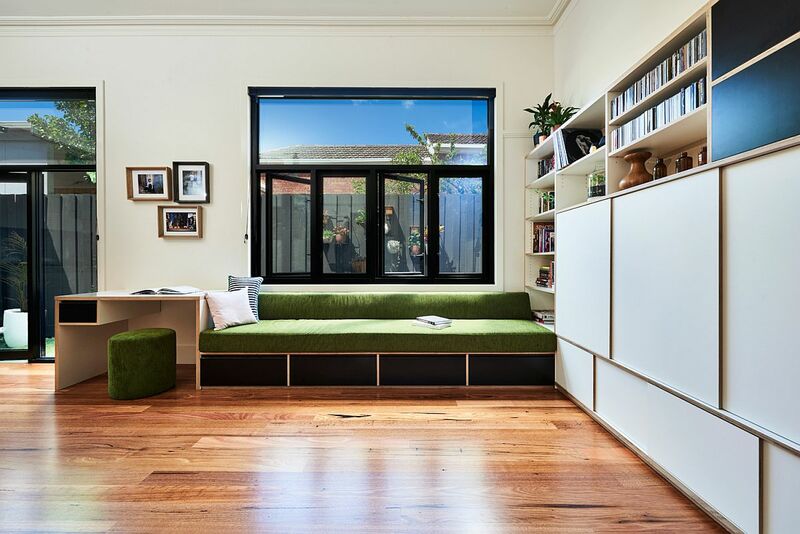 Ever looked at a home and wondered how great it would be if you could also find space for an exclusive TV room, study, library, family room or even a relaxing hangout in general. 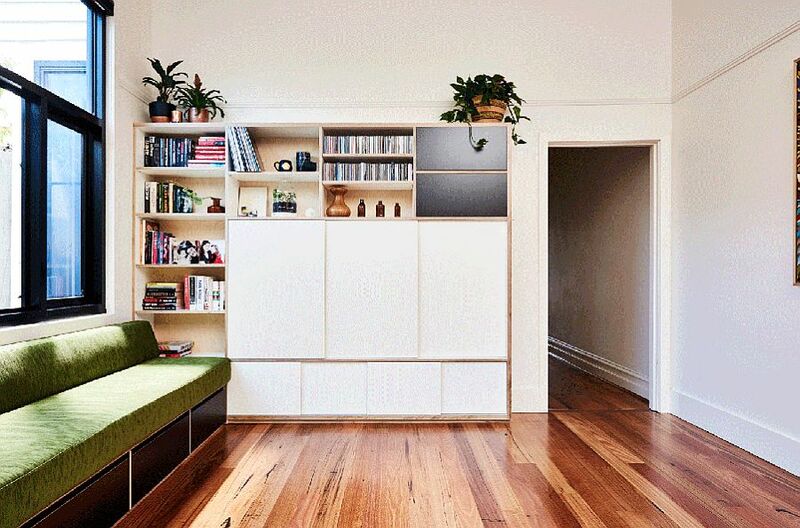 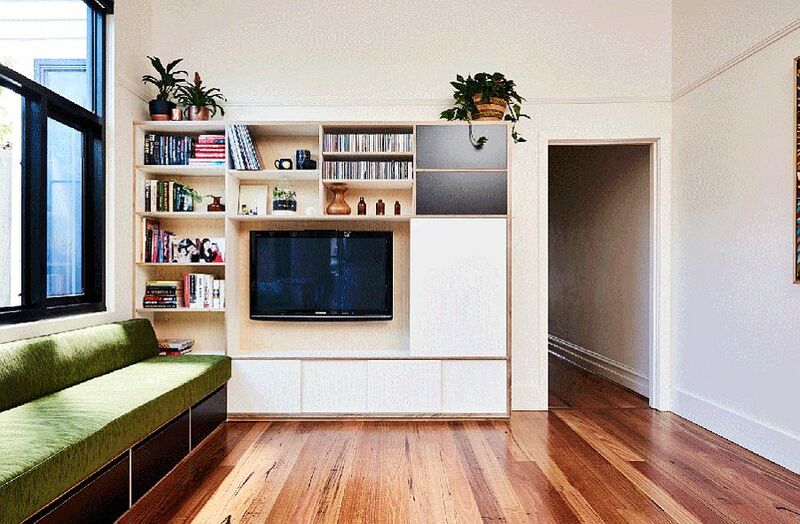 With space being the biggest issue, most of us simply do not have so many rooms to spare. 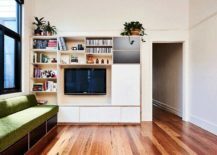 This is exactly why Dan Gayfer Design decided to create a smart, versatile and modern multi-tasking family room that also serves as a relaxing social for the entire family, TV room, home office and a whole lot more! 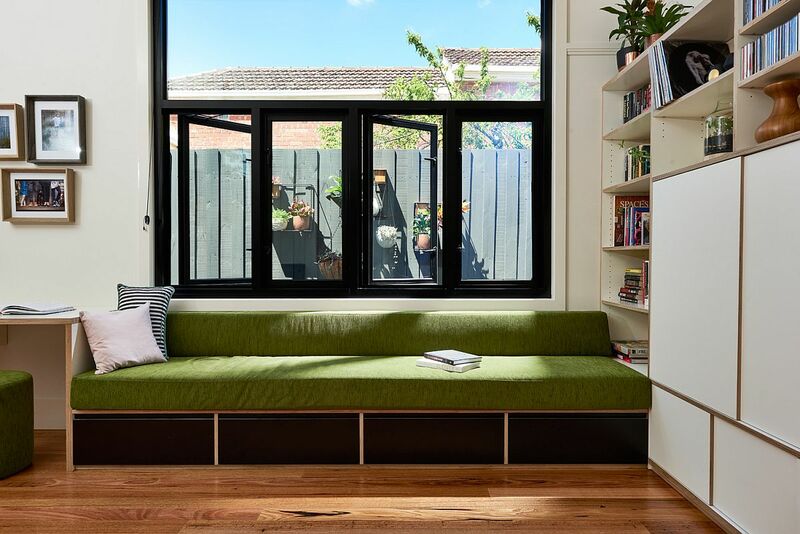 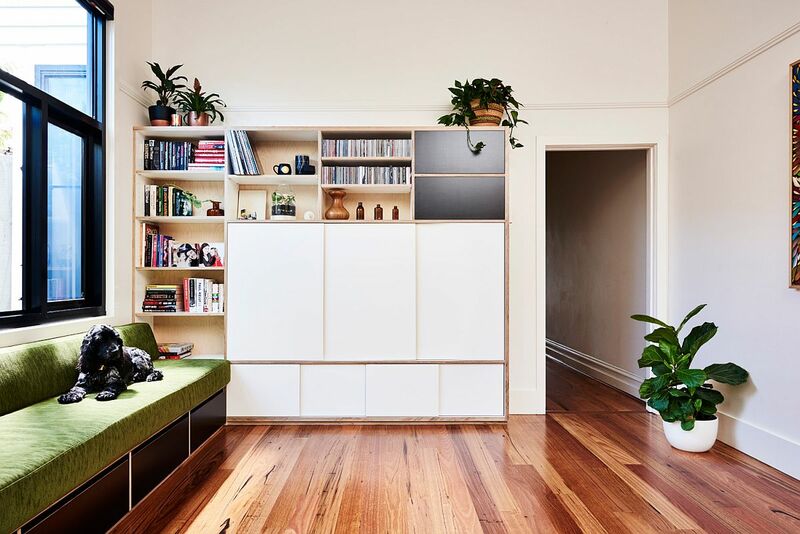 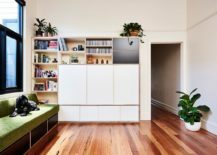 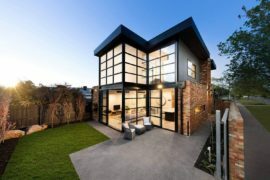 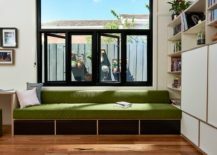 Part of the transformation that saw the Northcote Residence acquire a more efficient interior, the new family room is indeed a space-savvy showstopper! 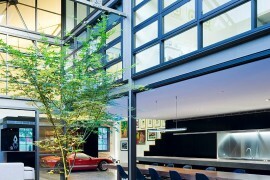 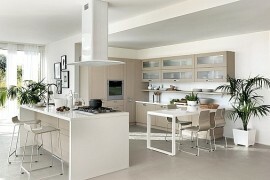 But that is not the only space that was altered to meet the growing demands of an urban family. 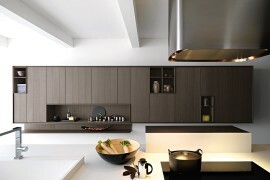 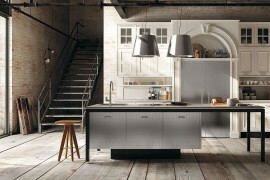 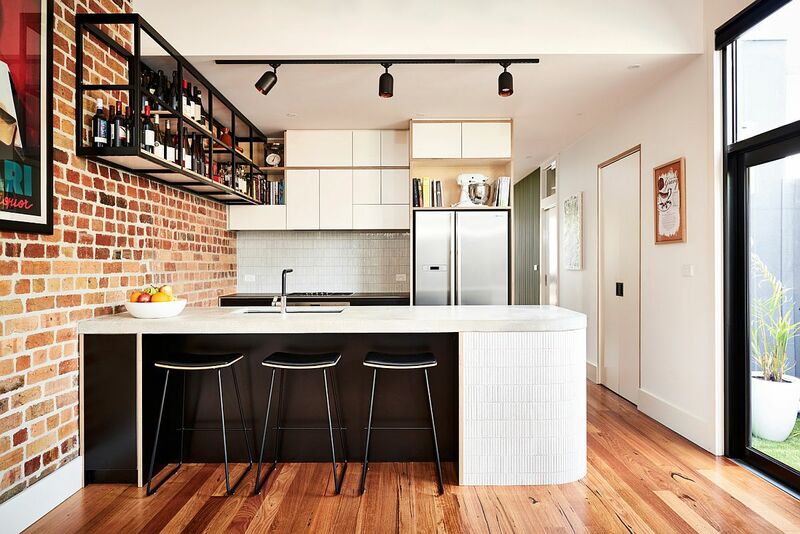 The more rigid kitchen of the house with a counterproductive U-shaped kitchen layout was replaced by a new kitchen where a smart worktop and ergonomic island combine modern minimalism with industrial overtones. 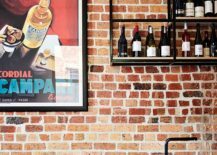 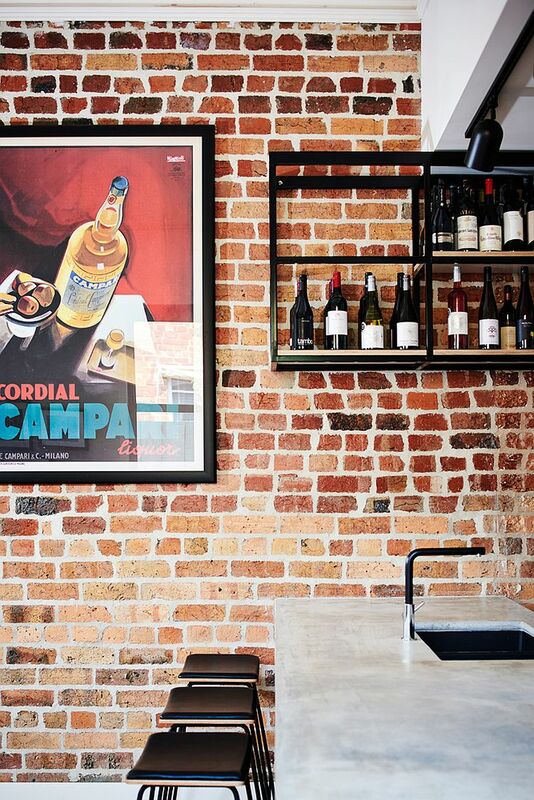 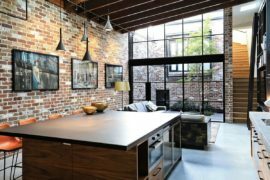 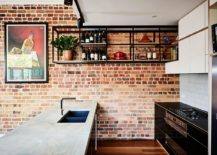 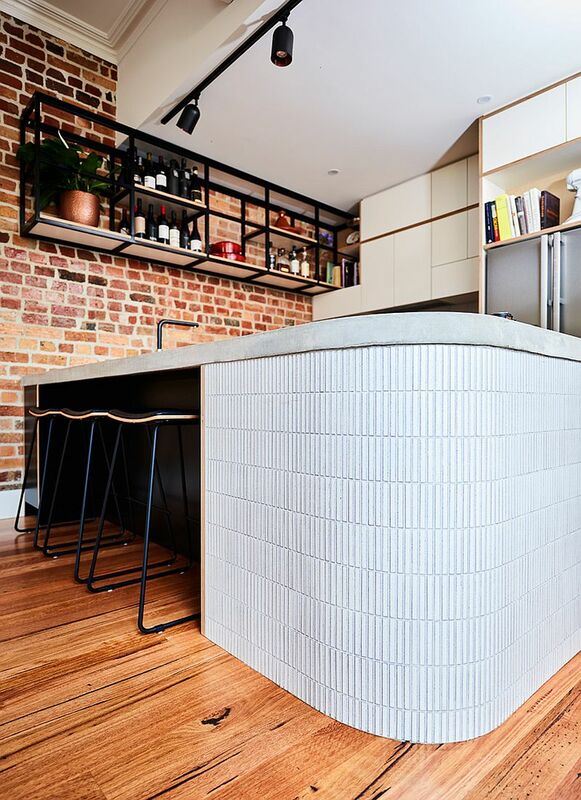 Exposed brick wall in the backdrop, an open self with steel frame and wooden planks along with the general ambiance of the kitchen give it a smart, industrial look. 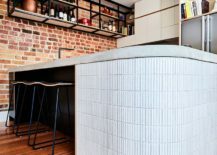 The rounded island edge offers safety in a high-traffic area while the white worktop combined with dark island and bar stools paints a picture of captivating contrasts. 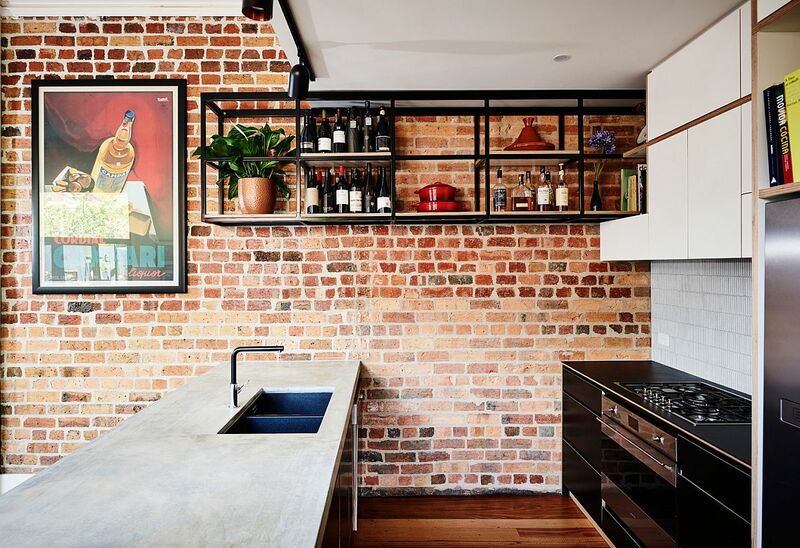 Here’s How an Old Warehouse Was Turned into a Sparkling Family Home!